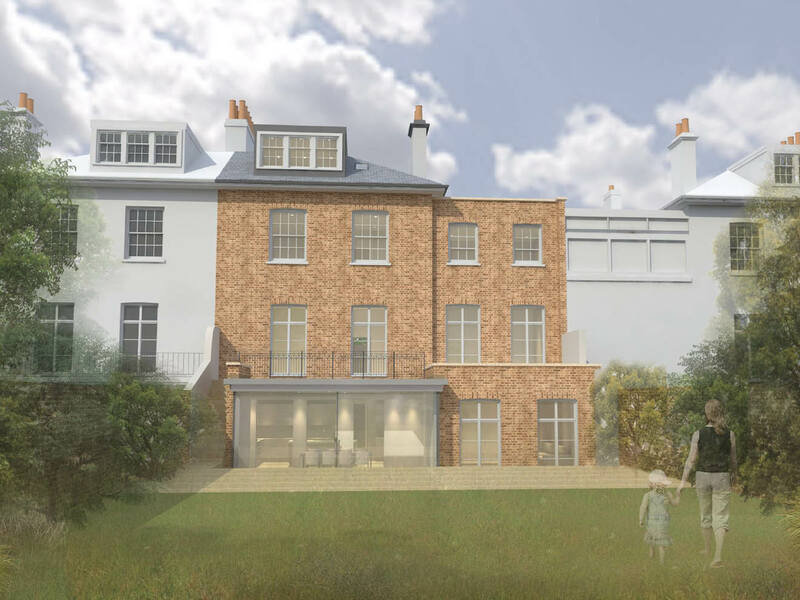 Project summary: Planning & listed building consent has been secured to extend and renovate a Grade II listed house in Richmond, SW London. 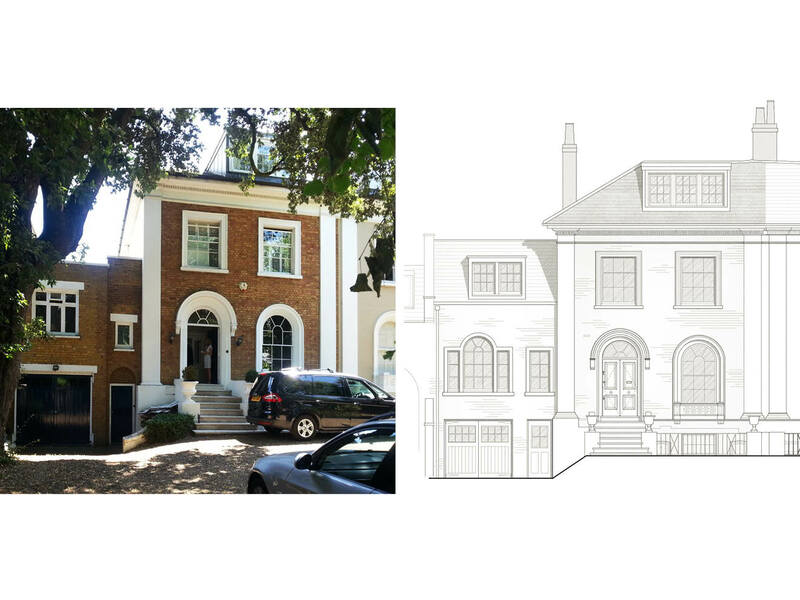 The property is a Grade II listed building in the Castelnau Conservation Area in Barnes South West London, which required a sensitive and experienced approach towards the overall design and planning / listed building process. 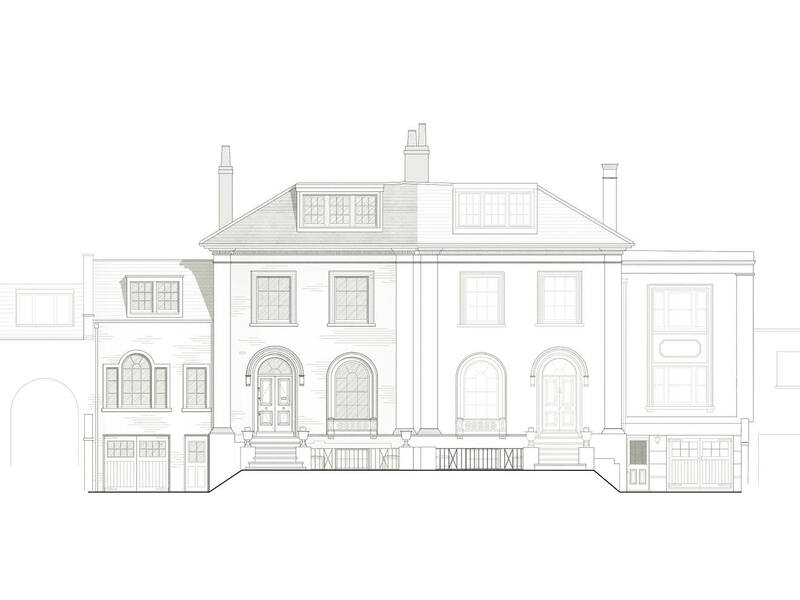 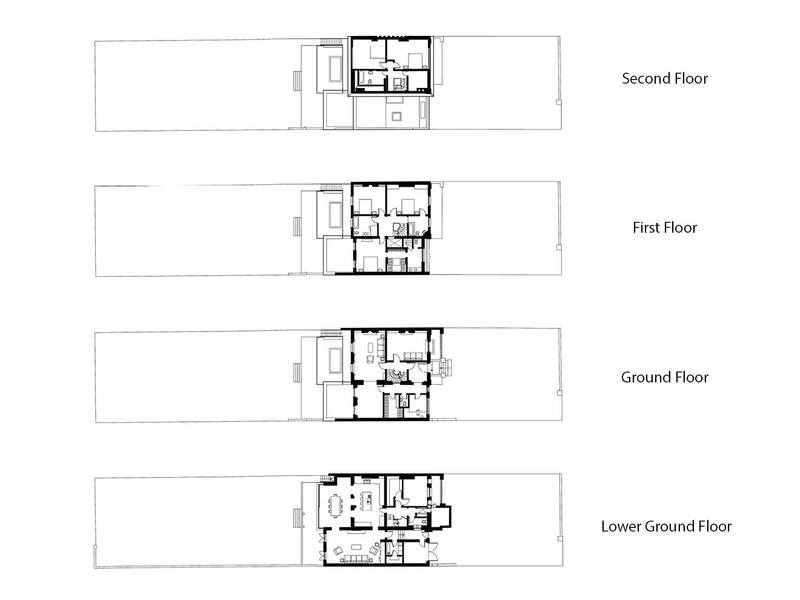 Applications have been approved for the demolition of the existing side coach house with a classical replacement. 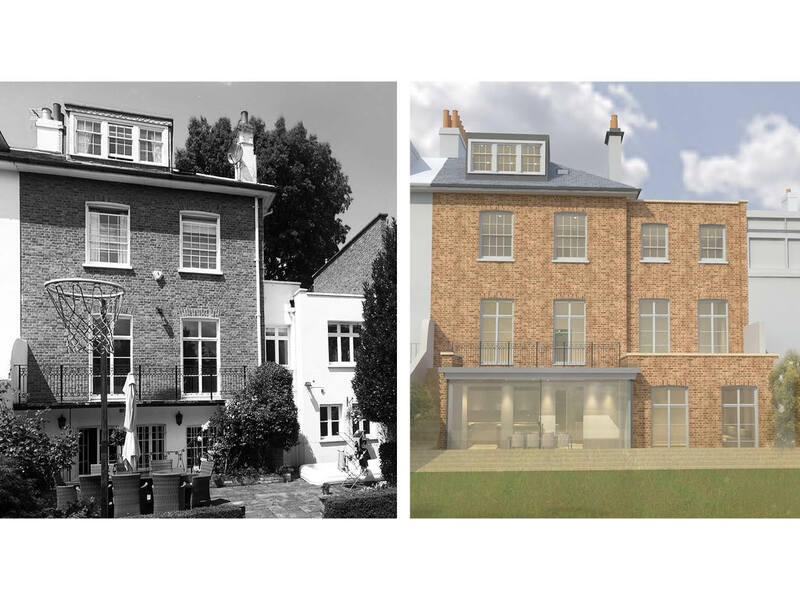 To the rear of the property a contemporary glazed extension has been approved enabling the rear facade to be visually preserved. 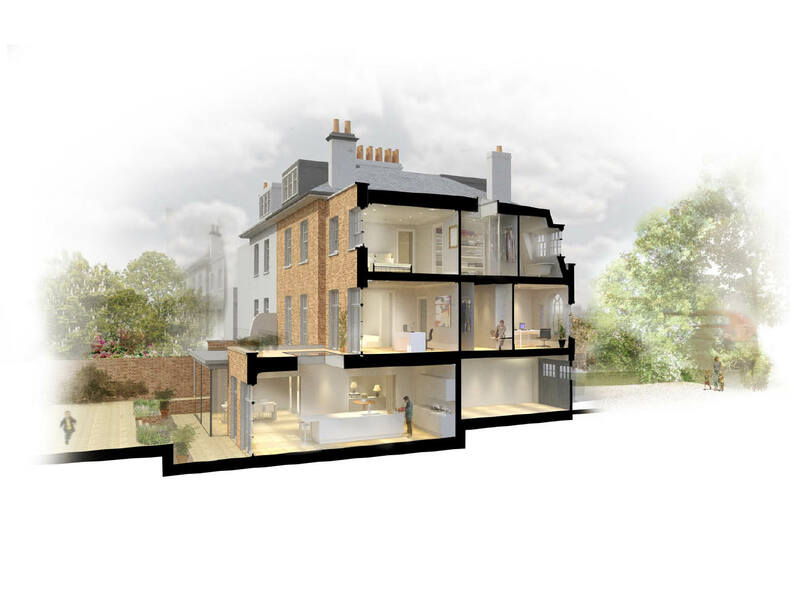 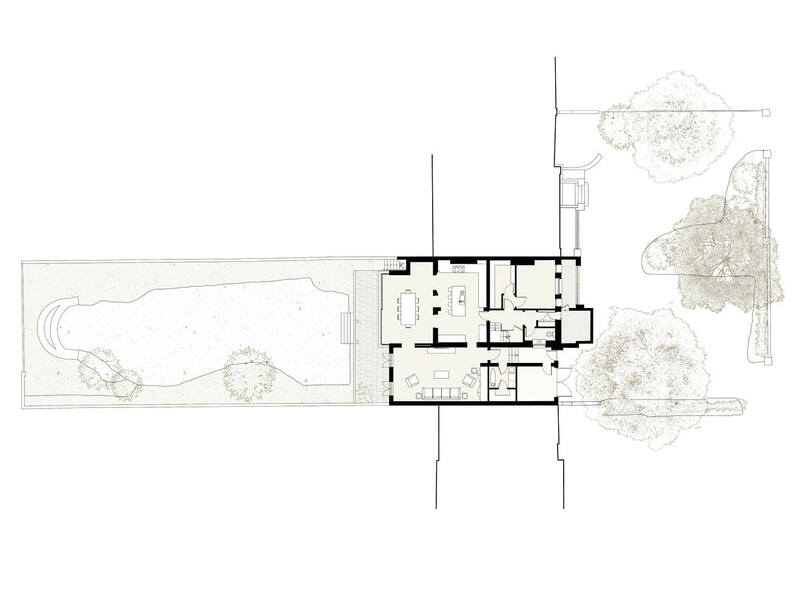 Internally the house is being re-planned throughout, to provide a 21st century family home, whilst ensuring key period features of architectural merit are retained.